Two firefighters stand bravely in the face of a roaring inferno. 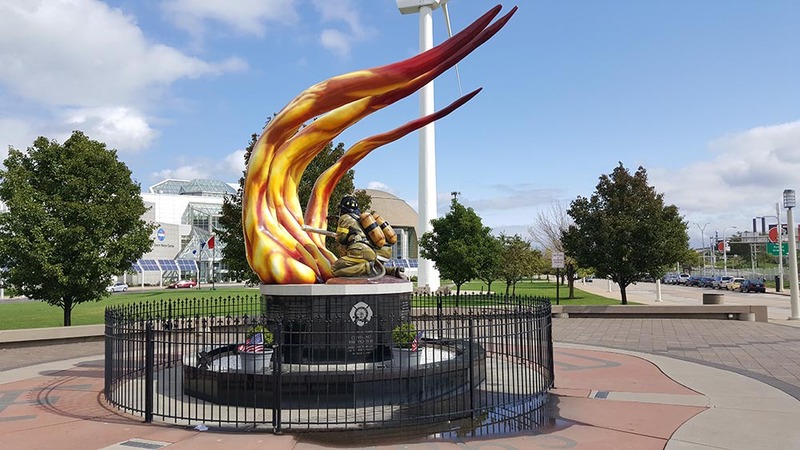 The memorial is a colorful fiberglass piece visible from the shoreway, in a central location between Brown's stadium, the Rock n' Roll hall of Fame, and the Science Center. 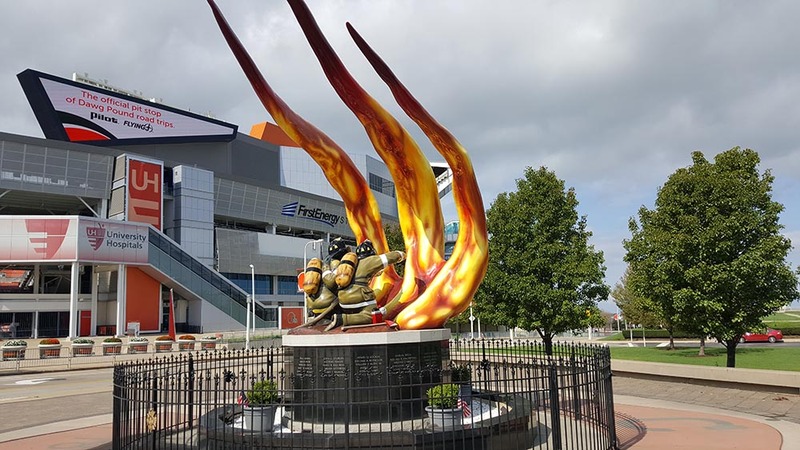 The imposing tendrils of fire curl over and above the seemingly hapless men, but they stand firm, blasting water from the hose, against all odds. 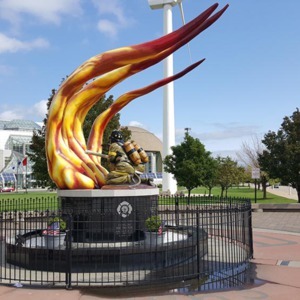 The large granite base is engraved with the names of all the men and women who paid the ultimate price protecting the Cleveland communities. 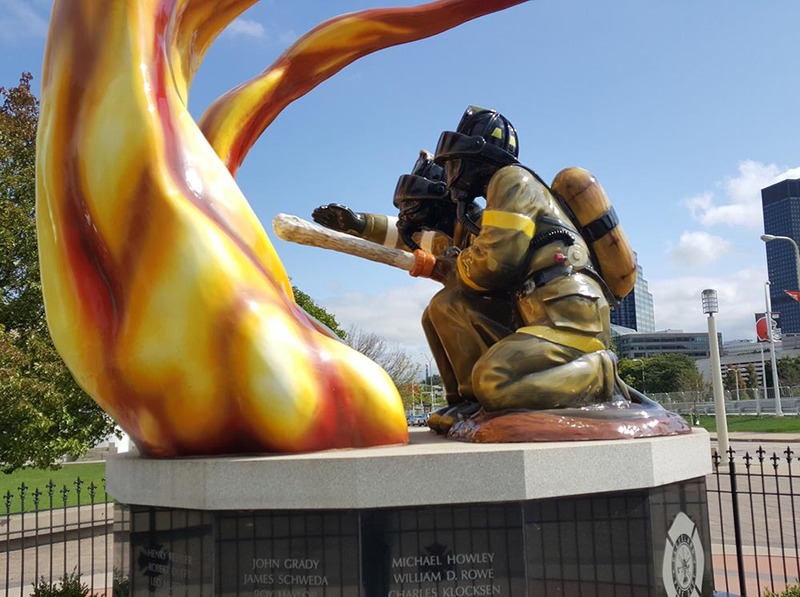 Jimenez was killed while working on another sculpture before this piece was completed, leaving it in the hands of Ron Dewey, Rob Hartshorn, and Ralph Brussee. 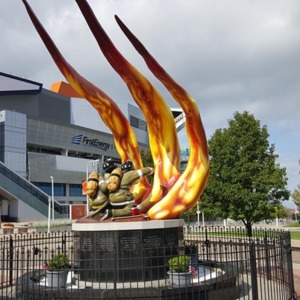 The three men completed the Memorial and dedicated it in 2007.
: Luis Jimenez, “Cleveland Firefighters' Memorial,” Ohio Outdoor Sculpture Inventory, accessed April 18, 2019, http://oosi.sculpturecenter.org/items/show/1272.